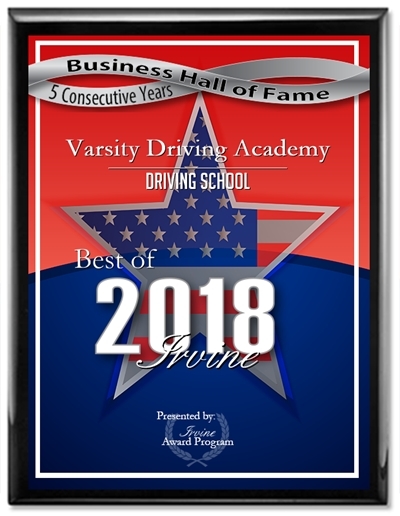 At Varsity Driving Academy, we feel that defensive driving practices are the practices that keep drivers as safe as possible. We excel at teaching defensive driving methods because we practice them on a daily basis. That mentality has propelled us to a #1 rating for driving schools. Feel free to browse around our site and get a little feel for what we can do for you. Below you’ll find some descriptions of a few of our main services. 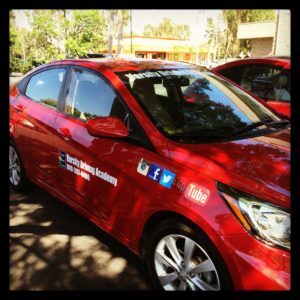 Welcome to Varsity Driving Academy Middle College High School Driver’s Ed! We take the stress out of the process of getting a driver’s license in many different ways. One way we do that is by offering a free pick-up and drop-off service for training sessions. Many students are discovering the ease and flexibility that comes with online learning. We have learned that same lesson and decided to add online learning to our driving school. Students don’t need to do much to get started. Simply sign up, create a username and password and get started. When students need to leave the computer for whatever reason, they can log out after saving where they are in the course. When students return, they can start from where they left off. The best part is, our course is on our servers meaning students can log in from just about anywhere. All students need is a computer and access to WiFi. Learn how to drive from home, from the coffee shop, from school anywhere, as long as there is internet access there is learning. The online course makes learning how to drive very easy and flexible. behind the wheel, training isn’t as flexible since you will need a trainer with you while driving. However, we do our very best to make it as easy as possible. We offer free pick up and drop off services for training sessions. That service means that whether you’re at school, home, work, a friends house, wherever, we will pick you up and get started with your training. When the session is finished, we will drop you off at home. Behind the wheel, training could be considered the most important part to learning how to drive. During this time, students can have one on one time with a certified trainer. Our trainers will seek out bad habits starting to form and correct them, enhance good habits and provide a safe environment for students to learn. Our services are always growing and getting better with every student. One of the best services we offer is our DMV Package. There are many aspects to the DMV package that make it the best of the best. Student’s who choose the DMV package receive a concierge-like service. Our staff will make appointments with the DMV for the student, pick them up and take them to the final test, and even hand over the keys to our car to use for the final test. This option is one of the best options we offer and allows for as much of the stress to be taken off the students as possible. Feel free to contact us and ask any question you may have at (949)-387-4400.